Classic Car Show featuring collector classics, hot rods, motorcycles, novelty vehicles and so much more! No entry free! Food, Beverages & tropical island shaved ice available at the show! 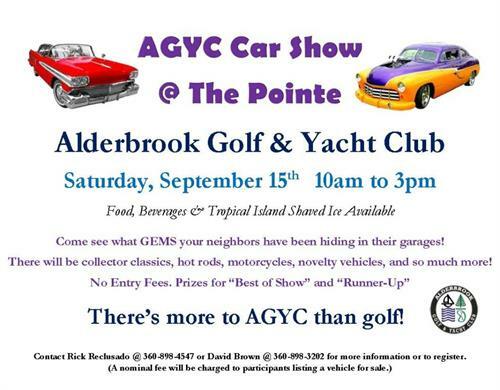 Come see all Alderbrook Golf and Yacht Club has to offer!